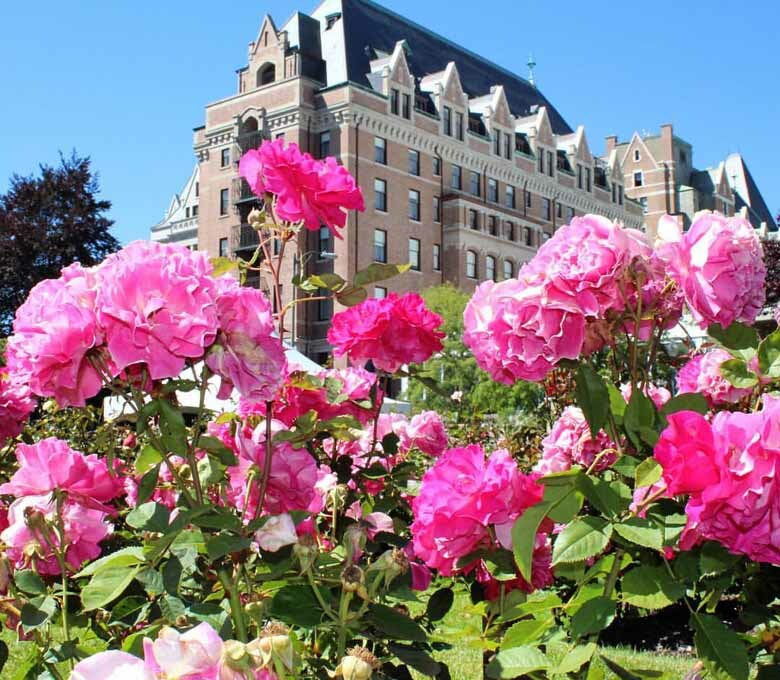 Like Romeo and Juliet, it’s been love at first sight between the Fairmont Empress and guests who’ve stayed at this grand Edwardian hotel. 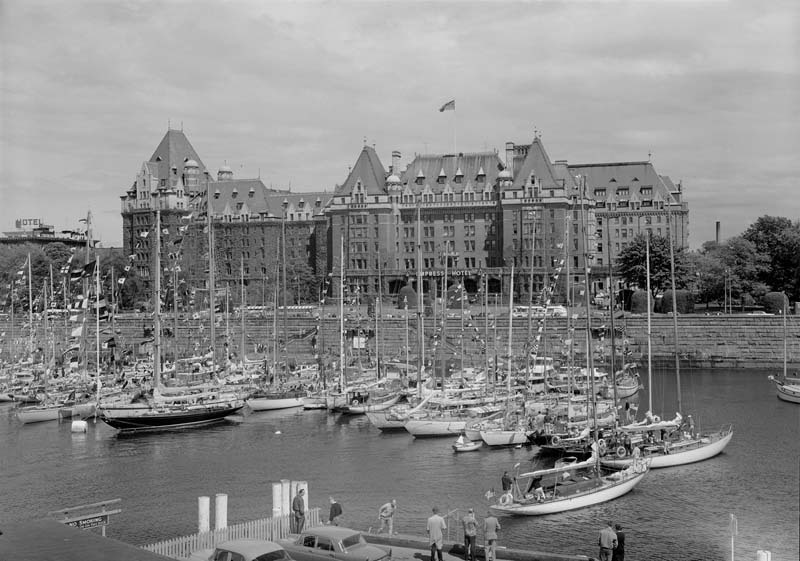 One of Canada’s National Historic Sites, the eight-story, chateau-style property on Victoria’s Inner Harbor has been welcoming guests since steamships first brought them to her doors in 1918. 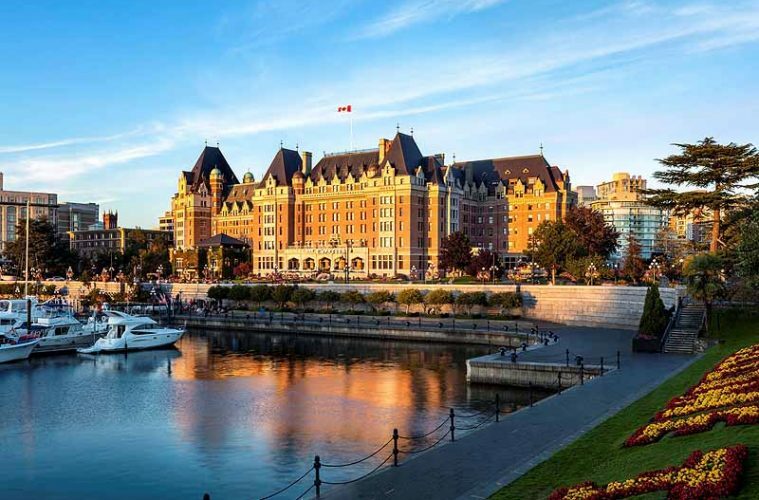 Now the Fairmont Empress has undergone a $60 million-dollar restoration, and she’s even more lovely than ever before. The transformation is remarkable, starting with the reconfigured lobby, which has been turned into a light-filled atrium by removing one half of the mezzanine. The imposing bank of dark oak that served as the reception desk has been replaced with two discreet podiums. Overhead, sunlight sparkles through two new “exploded rose” sculptures by Lasvit, handmade and woven from 250,000 fine crystal beads. The main chandelier – a 20-foot, multi-petaled centerpiece – twinkles softly day and night. It sets the tone of sophisticated, yet playful elegance that can be found throughout the re-imagined Empress. The Fairmont Gold level has also had a total renewal. 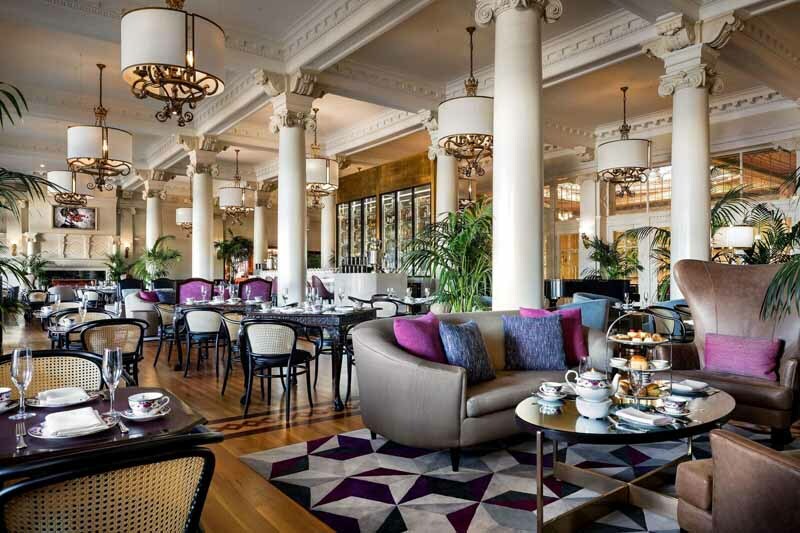 It’s been expanded to 65 rooms, and there’s now a stunning new Fairmont Gold lounge and terrace. The creation of Q Restaurant and bar and the renovation of the Willow Stream Spa are just a few of the other luxurious upgrades. One thing that hasn’t changed is the outstanding level of service. 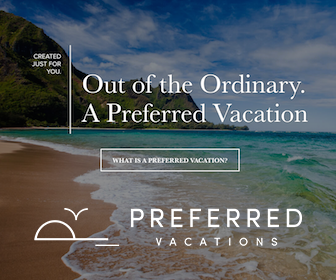 The hotel’s courteous friendly staff have carried on through multiple renovations. Many staff members have been assisting guests at the Empress for over four decades. One can only assume they can deal with just about anything. After quickly unpacking in my harborview room – bathrobe and slippers, check; comfortable workstation with padded swivel armchair, check; Fairmont’s signature Le Labo Rose 31 amenities, check; incredibly soft bed, check – I hurried downstairs to meet Nancie Hall, Regional Director of Public Relations for Fairmont Hotels, Pacific Northwest. 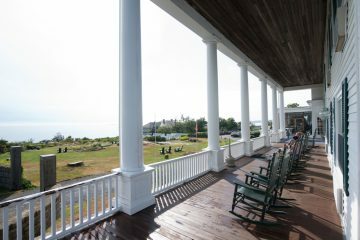 Generations of families have sat down to nibble dainty sandwiches and delicious pastries while enjoying a view of the hustle and bustle of the harbor. The staff plan for 400 to 800 guests a day, depending on whether a cruise ship has moored within walking distance. The Lounge was full, but the plush sofas, wingback chairs and small tea tables created an intimate atmosphere. Our tea sommelier, Ron, offered us a choice of 21 exotic teas and brought a tea timer along with our rose-patterned china teapots to ensure we had a perfectly brewed cup. The sandwiches were tiny works of art, the scones warm and the desserts too lovely to resist. 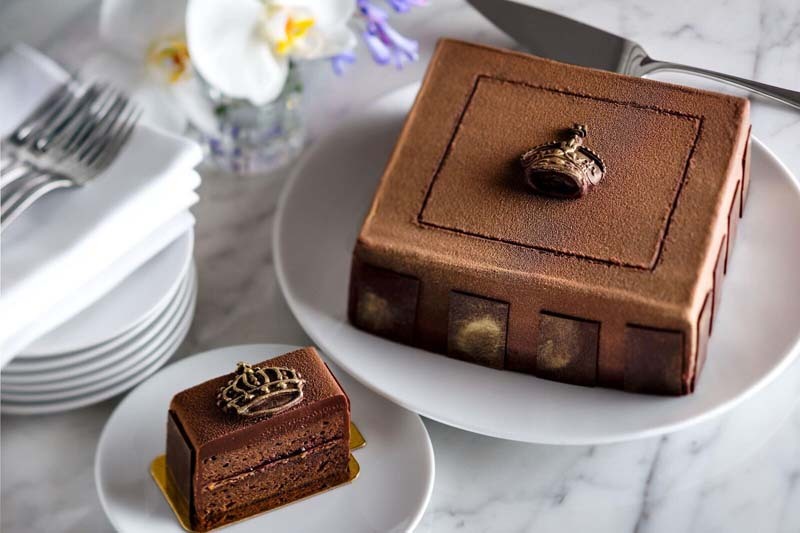 Would you care for a slice of Empress torte? Situated on the southern end of the property, the garden is a quiet oasis full of abundant, colorful, sweet scented roses. 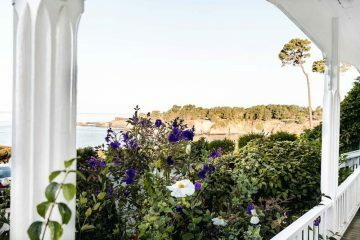 Appropriately for the landmark hotel in the “City of Gardens,” the grounds are also adorned with huge hydrangeas, rhododenrons and colorful annuals that line the pathways and entrances. After tea, it was time to explore the renovated Willow Stream Spa. Located on the main and lower levels of the north end of the hotel, Willow Stream is Victoria’s most visited spa, a favorite of locals and guests alike. Small, but immaculate, the spa features a Finnish dry sauna, steam room and a delightful Roman inspired thermal mineral pool for detoxification before treatments. Thoughtfully, an extra-large shower area with multiple grab bars and seating options is available for disabled guests. Before and after treatments, there is a comfortable lounge area and the hotel pool with its new tile mural can be accessed from the mineral pool area. 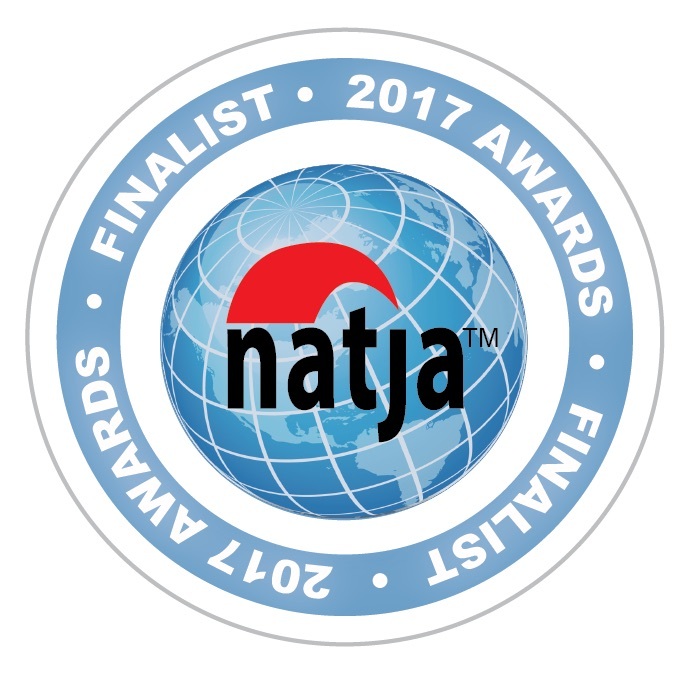 Conde Nast has rated Willow Stream Spa as a Top Resort Spa in Canada, and it is rated as one of the Top 100 Spas of the Americas by Spas of America. 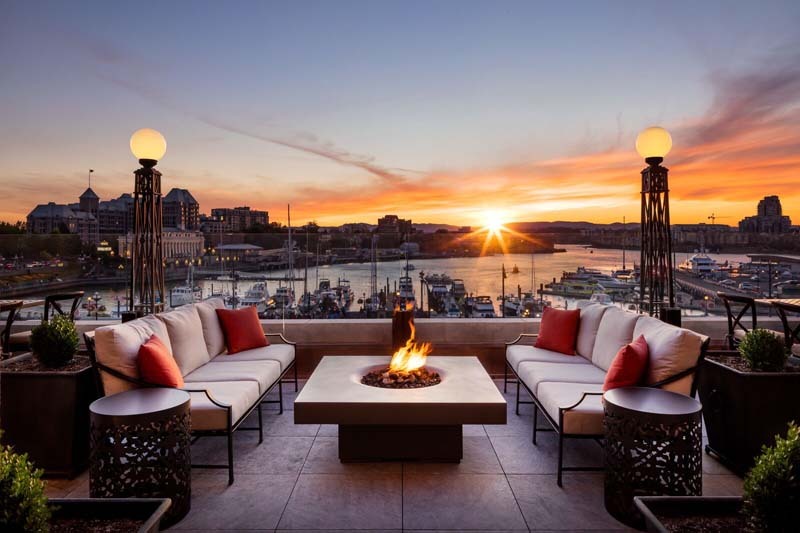 My Fairmont Empress review wouldn’t be complete without mention of the new Fairmont Gold terrace – where I ended my day watching the sun set over the Inner Harbor as boats and water taxis made their final evening voyages. The terrace had existed in the original plans but only as a place to display flagpoles. 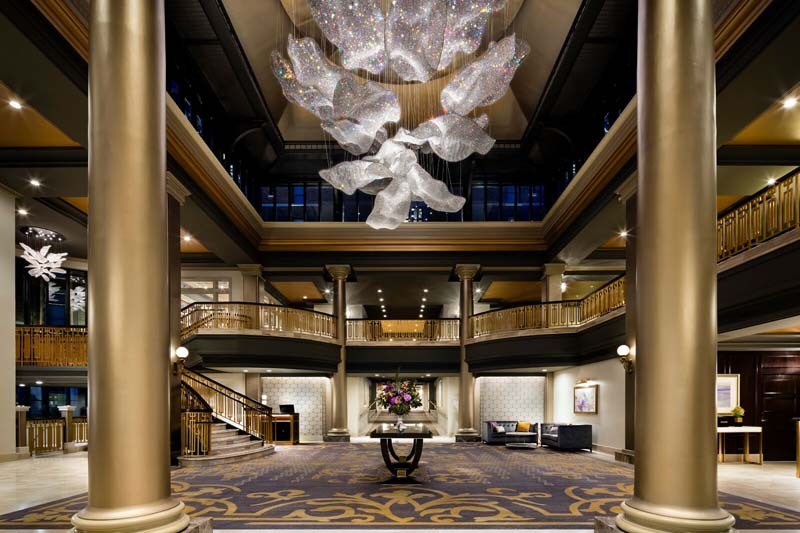 The new design knocked down the walls between five former suites to create the elegant Gold Lounge and provide access to the terrace for Fairmont Gold guests. A new luxury passenger ferry linking downtown Vancouver with Victoria’s Inner Harbor docks right outside the Fairmont Empress. Christened the V2V, it charts a leisurely four-hour course through the Gulf Islands, offering a mini-cruise and wildlife viewing opportunities along its route. For airport arrivals, the hotel can arrange for transfers by limousine. The Empress has entertained royalty and celebrities since its inception and every guest receives the same friendly discreet service. 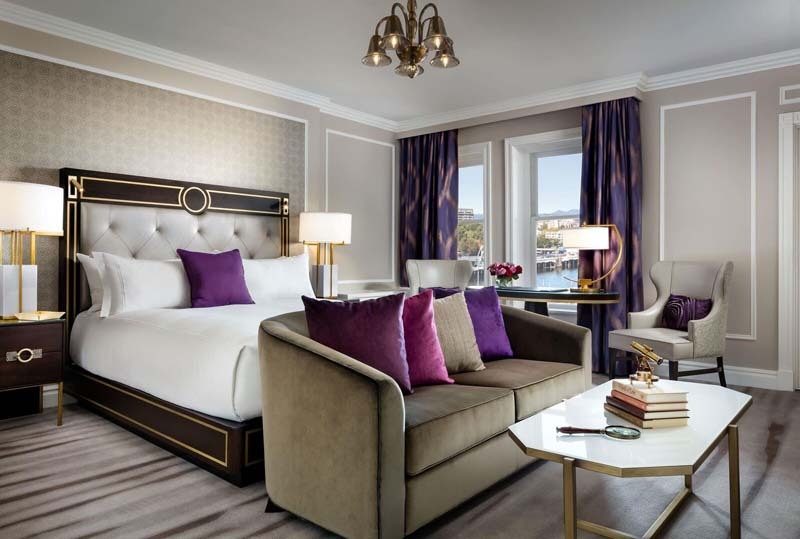 The new Royal Suite is the jewel in the crown of the Fairmont Empress. 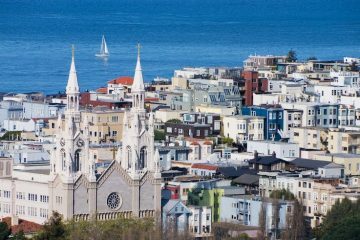 A 1,600-square-foot sanctuary overlooking the harbor, it has a living room, dining room, master bedroom with bonus sitting area, a vast marble bathroom with heated floors and a walk-in closet. Intimate dinners can be catered by Q Restaurant upon request. 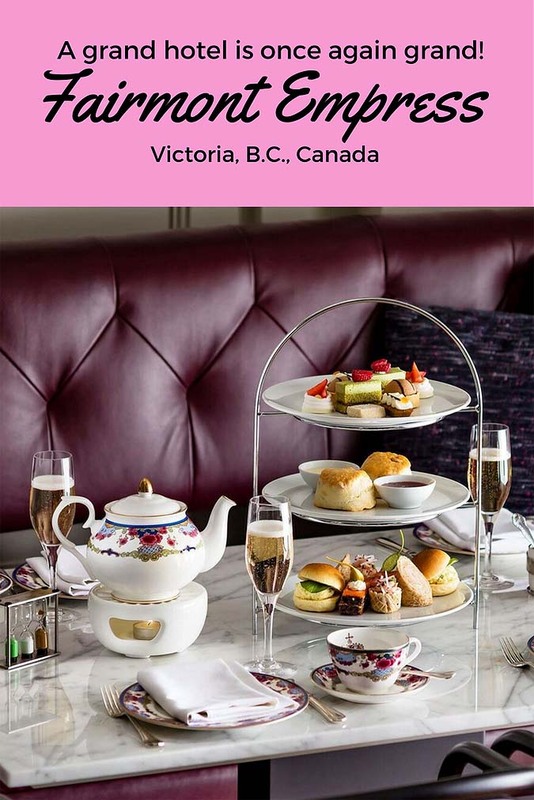 There are newer properties in Victoria, but for a first-time visitor, the Fairmont Empress is the perfect introduction to this city that puts the “British” in British Columbia. The Fairmont Empress Lobby Lounge can get quite crowded when cruise ships arrive. 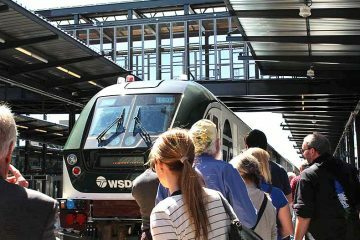 Here’s your chance to get out and explore Victoria until the day trippers have gone. There are only four main elevators to take to reach the lobby. Two other elevators located in the south end of the building go directly to the conference areas and shops. If mobility is an issue, ask for a room close to the lobby elevators. Rooms facing the harbor are slightly smaller than others, but they offer a wonderful view. 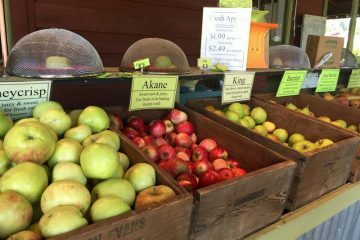 Like summer in northwest Michigan, the summer months (late spring and early fall too) are a great time to visit Victoria and British Columbia. For more information on visiting Victoria, see Tourism Victoria. For more on visiting British Columbia, visit Hello BC. 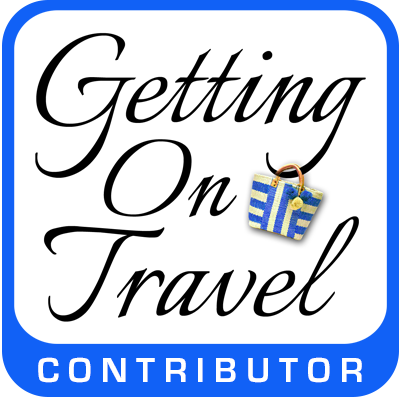 Debra Smith is a travel writer and photographer from Calgary, Alberta. A true blue Canadian, she visits Hawai'i in the winter as often as possible for "Where to Lady" (her own blog) and as FamilyFunCanada.com's Hawai'i expert. 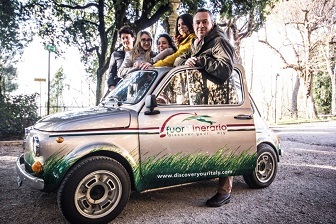 Her passions include art, history and boutique hotels and she's always up for a walking tour. 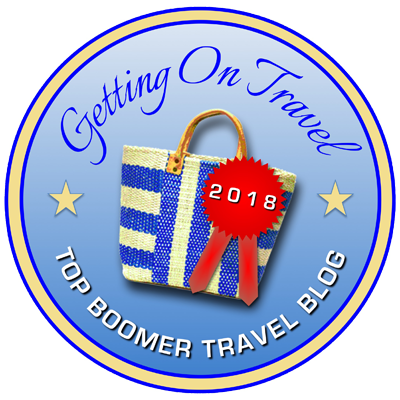 She has written for WestJet Magazine, NUVO, AAA's Home & Away and Journeys, Vancouver Sun, Calgary Herald, National Association of Federal Retirees and online for Vacay.ca among others. One of my favorite trips last year was to Vancouver, and we tried so hard to carve out time to get to Victoria–but never made it. So this makes me even more eager to go back to that gorgeous part of the world. I love checking out grand hotels! If you have the time Laura, the new V2V luxury ferry is a leisurely way to get to Victoria and spot some sealife along the way. Hope you have time to visit the Empress soon. Great tip, Debra. I’ll put the luxury ferry on my list! This makes me want to visit Victoria again! Thanks Lori! There’s always something new to see in Victoria. I really liked the Robert Bateman Gallery, just across the harbour from the Empress.